オーラパックとはShow posts in this category. 鮮度保持効果Show posts in this category. 採用事例紹介Show posts in this category. 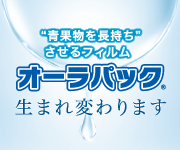 オーラパック採用事例Show posts in this category. 一般商品採用事例Show posts in this category. お客様へのご提案Show posts in this category. 高鮮度保持フィルムオーラパックShow posts in this category. 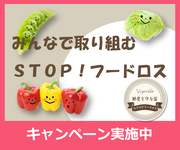 電子レンジ対応袋Show posts in this category. オリジナル防曇袋Show posts in this category. プラマーク規格品Show posts in this category. 土物類Show posts in this category. 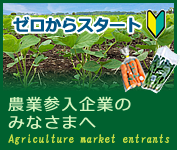 根菜類Show posts in this category. 葉茎菜類Show posts in this category. 果菜類・果実類Show posts in this category. ラップ・ロール・カットシートShow posts in this category. フィルム封筒Show posts in this category. 包装機Show posts in this category. 新聞・雑誌Show posts in this category. テレビ・ウェブShow posts in this category. Copyright © 2019 BELLE GREEN WISE Co., Ltd.